On 27 October 2017, the Indonesian Ministry of Trade (“MOT”) issued Regulation No. 81 of 2017 (“Regulation 81/2017”) which amends MOT Regulation No. 87/M-DAG/PER/10/2015 on the Import Provisions for Specific Products (“Regulation 87/2015”). the API-U holders importing the Specific Products must report the realisation of the imports electronically through //inatrade.kemendag.go.id. Regulation 81/2017 revises the Specific Products that can be imported through Bitung seaport. 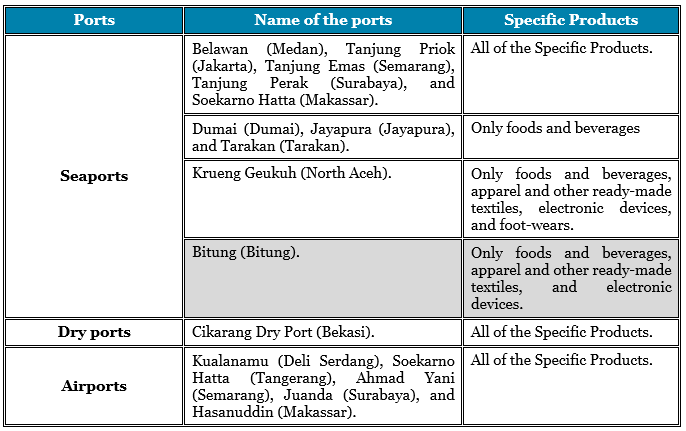 All Specific Products may now be imported through Bitung seaport. Regulation 81/2017 however, does not relax the limitation at other Specific Ports. As the principal Regulation 87/2015 is set to expire on 31 December 2018, API-U holders should bear in mind that the changes introduced by Regulation 81/2017 may cease in early 2019. If you have any questions or require any additional information, please contact Poppy Rahmasuci, Steffen Hadi or the ZICO Law partner you usually deal with.